Ogilvy & Mather has become the latest agency to set up an initiative to boost diversity, with a group-wide creative internship programme. In a bid to ensure applicants come from all walks of life there are no requirements for people entering the scheme to have any particular qualifications or experience. Ogilvy is looking to hire 14 interns through the programme, which is called The Pipe in homage to founder David Ogilvy’s smoking pipe. The interns will be paid the London Living Wage (£9.40 an hour) and work on briefs from across the Ogilvy & Mather UK group, which includes Ogilvy & Mather, OgilvyOne, branding agency Coley Porter Bell, Ogilvy PR, Ogilvy Healthworld, social@Ogilvy and behavioural change arm OgilvyChange. A spokeswoman said it was hoping for a huge variety of candidates – from 18-year-olds who cannot afford to go to university through to 65-year-olds who have retired and are looking for a new challenge. Ogilvy & Mather plans to assign these interns to a mid-weight creative at the agency. This will benefit the mid-weight creative as well as the intern as it will enable them to develop people management skills as well as experience guiding the creative direction of colleagues, which will equip them for the promotion to creative director. The Pipe’s application process will require budding creatives to first send in a piece of creative work – anything from an ad design to song lyrics. Then, 200 applicants will have two weeks to answer a brief before the top 50 are invited for an interview. 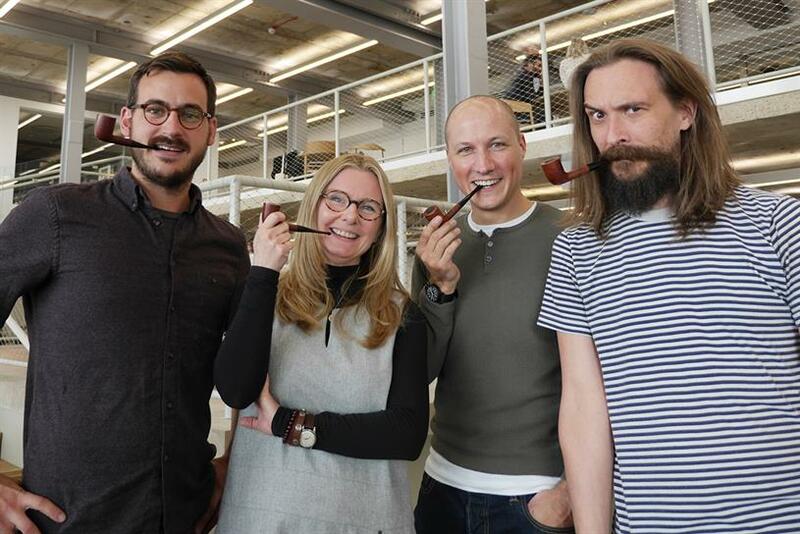 The Ogilvy & Mather creative directors Johnny Watters and Angus George came up with the idea for The Pipe, and are supported by the group chief creative officer Emma De la Fosse and head of talent acquisition Matt Jordan. Aspiring agency creatives often have to work lengthy periods for free or just expenses before securing their first full-time job. With rents and the cost of living rising, this has led to an increasing proportion of junior creatives coming from more prosperous backgrounds. Creature’s creative partner Stu Outhwaite and Ben Harris have led a campaign, supported by Campaign, to ensure agencies commit to the Placement Poverty Pledge. It requires shops to pay their creative placements the London Living Wage and at least £100 a day after three months. Ogilvy & Mather has recently signed up to the pledge for its traditional creative placements, joining agencies such as Abbott Mead Vickers BBDO, Adam & Eve/DDB, Outhwaite’s Creature, Wieden & Kennedy, Saatchi & Saatchi and TBWA\London.